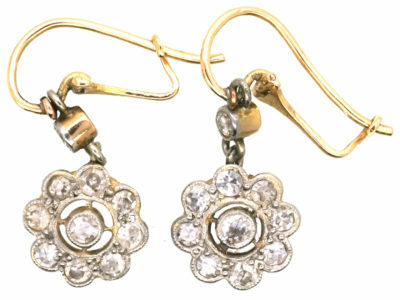 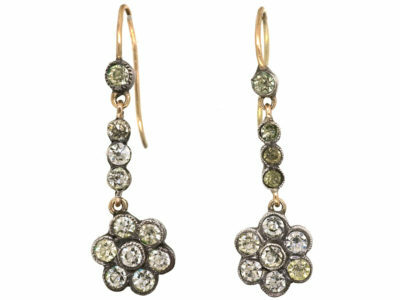 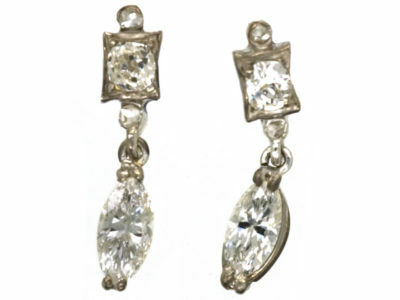 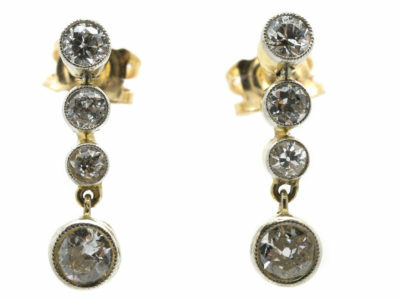 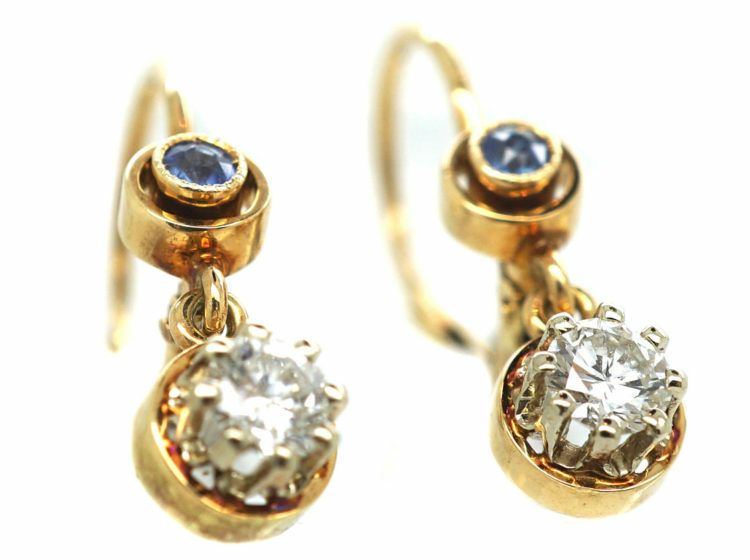 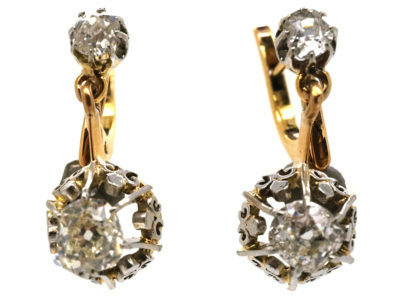 A lovely pair of 14ct gold drop earrings that were made in Germany circa 1900-1910. 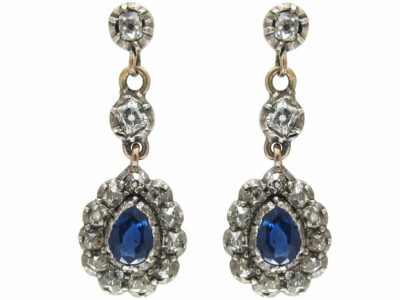 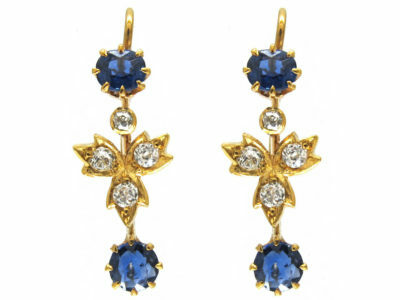 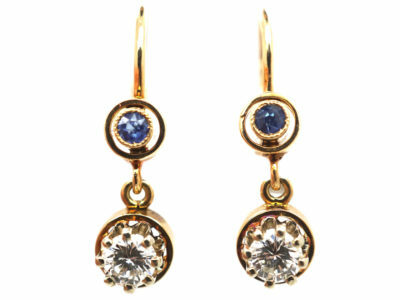 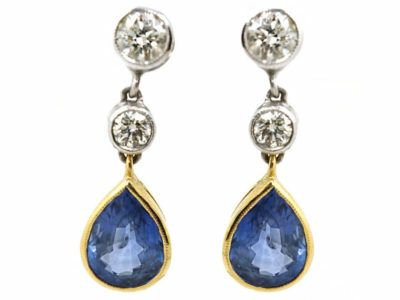 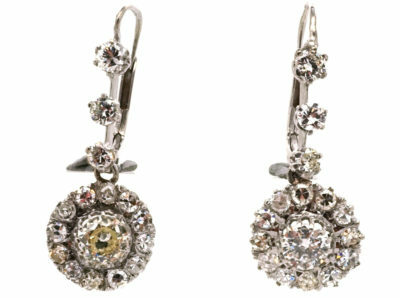 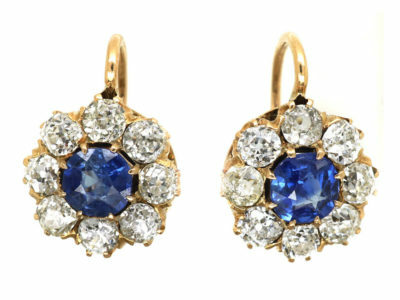 They each have a small sapphire within an open circle at the top with a bright white diamond drop below. 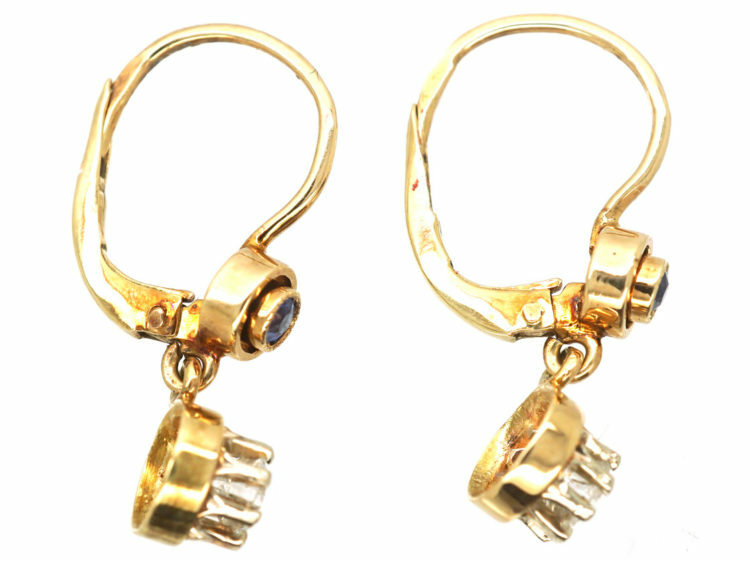 The wires have comfortable and safe hinge fittings. 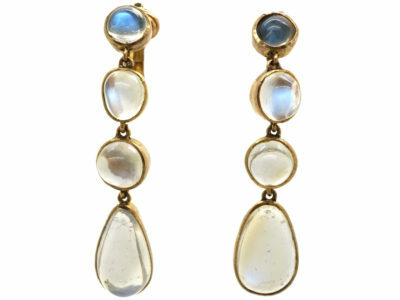 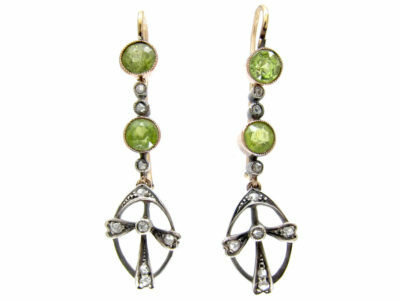 These earrings can be worn day and night.